Photographed are the first group of budding goalkeepers to have attended the first 5-week session of goalkeeper training by FA qualified coach Martyn Kimmins. 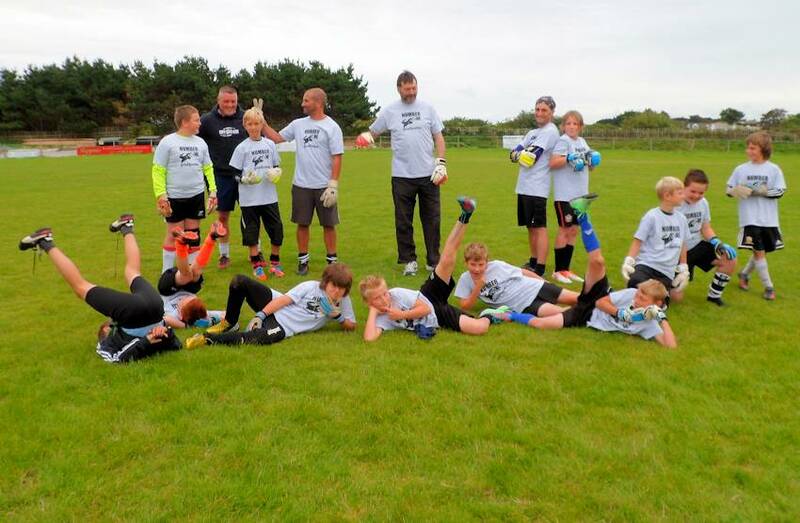 Young keepers from St Agnes and other local clubs benefitted from learning specific goalie warm-ups, ball familiarity, shot stopping, positioning, footwork, basic handling skills and principles of goalkeeping. St Agnes AFC Under 11's team coach Katie Venton enthused, "Both Ethan and Elijah from the Under 11's have shown such improvement in their confidence and understanding. The extra coaching has really shown great results." Following this weekend’s St Agnes Under 13's fixture manager Mark Norgate commented "I can't tell you how proud of the boys I am today. We only had nine available so they all had to last the full game in a wind you could barely walk in let alone run in! It was a very close game, but we won 3-0 in the end thanks to an outstanding performance from Guy Albury (graduate of the No.1 school of goalkeeping!). Actually, 'outstanding' doesn't do his performance justice. Two of his saves I don't think I will ever understand how he pulled them off!" 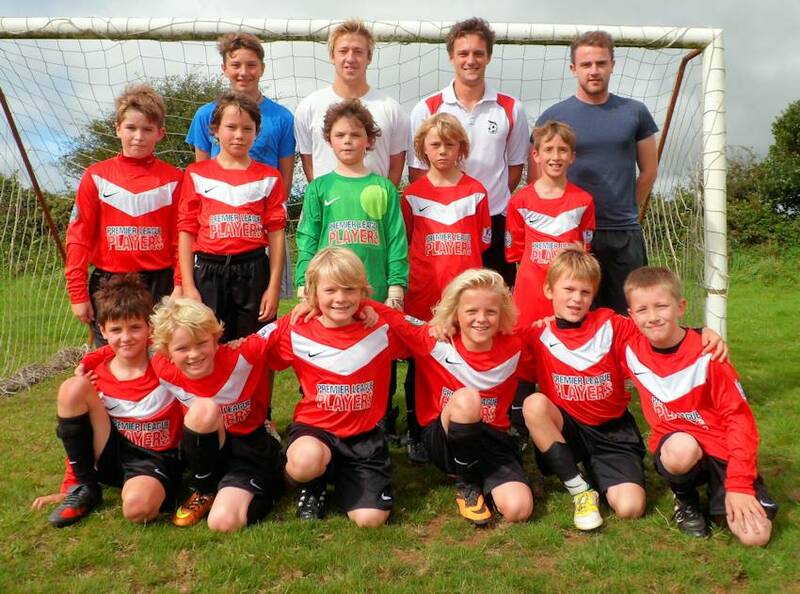 St Agnes AFC Under 12's started their season with a smart new strip sponsored by Printout Printing Services of Threemilestone 01872 242534. 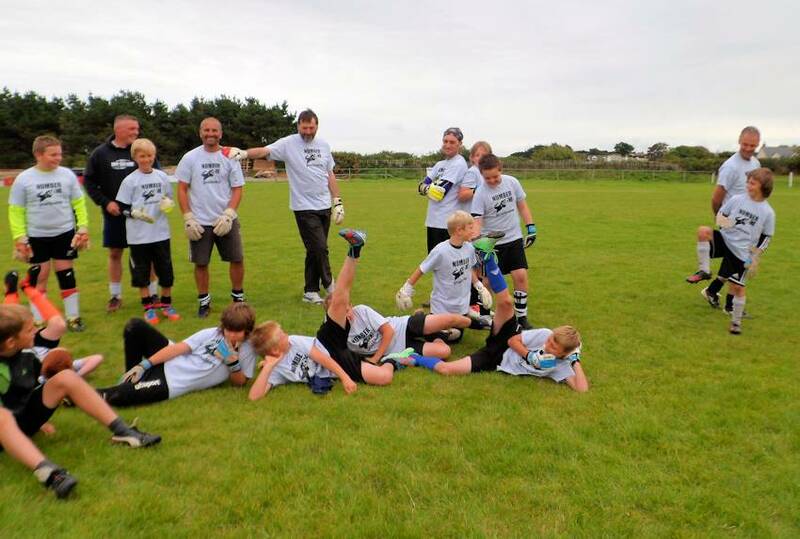 The team are managed by Barry Taylor with his assistant Simon Long and play in the Kernow Youth League Under 12's Premier Division. St Agnes AFC are now fielding 9 youth sides with 6 adult teams for the 2013/14 Season and a also run Community Group and Mini-Soccer Centre. Details of all groups can be found on the club website www.stagnes-saints.co.uk or contact Chaiman Mandy Kimmins on 07974 370666. The club welcomes new players of any ability at all levels and anyone interested in joining the club as a sponsor, coach or supporter in any way is invited to get in touch. Squad: Keiran Brand, Callum Forwood, Taidg Frankish, Sam Gapp, Jamie Hughes, Oliver Keveren, Tyler Knight, Harry Lampier, Ben Lowe, Ezekiel Prett, Cameron Richard, Lewis Richards, Billy Slinn, Cody Stanbury, Logan Taylor, Freddie Walter. 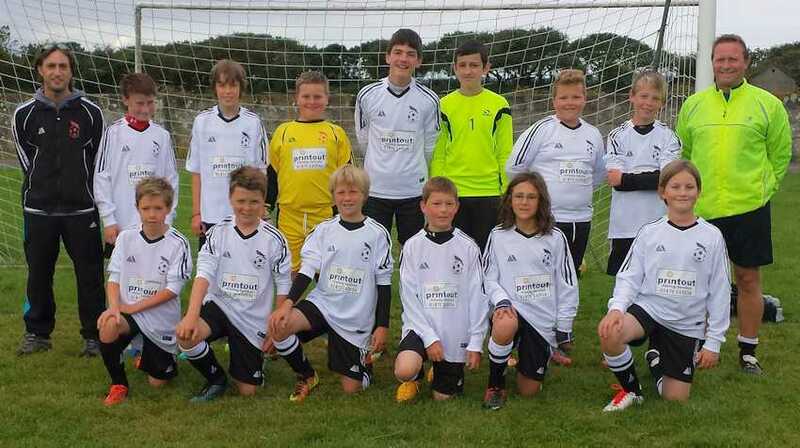 St Agnes AFC first team manager Martyn Kimmins who prints and publishes The Bolster Paper in the St Agnes Parish has sponsored the St Agnes AFC Under 14's boys for the 2013/14 Season with a splendid new kit complete with a picture of the St Agnes Bolster Giant emblazoned on the front of it. The boys are delighted to have a complete set of new strip and are photographed with their manager Rhyd Purnell before their Under 14's County Cup fixture at home against Truro City on Sunday. Despite a giant effort and a goal from St Agnes player Morgan Ford the match went Truro's way as they ran out 6-1 winners. 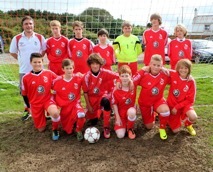 St Agnes Under 14's are rebuilding this season after the club introduced an Under 13's team below them to take up the younger players and provide them with more football. We would be delighted to hear from any Under 14's players interested in joining their numbers. Please check out the club website www.stagnes-saints.co.uk for details of all 15 of the club’s adult and youth teams or contact Mandy Kimmins on 07974 370666. 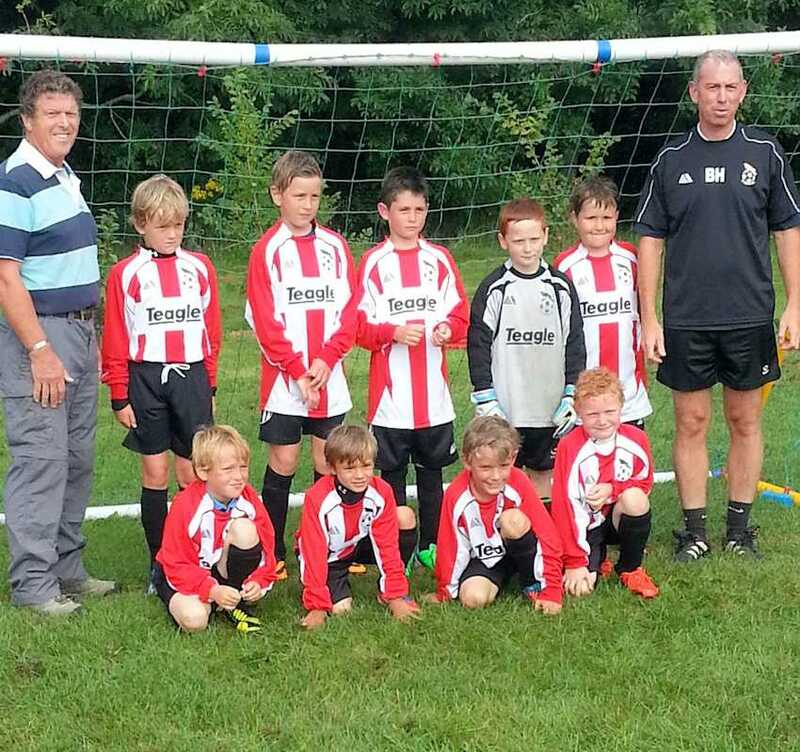 St Agnes AFC Under 10's excitedly posed for a team photo prior to the kick off of their 2013/14 season in the Kernow Youth League. With a new coach Mike Burn joining them with his assistants Curtis Pay, Sam Hatfield and Mark Mitchell the boys also gave their brand new kit for the season its first airing. 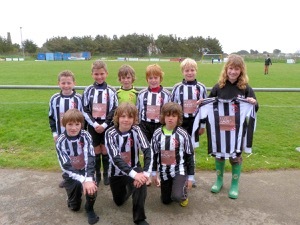 The kit was won for the boys by the club who successfully applied to the Premier League Kit Scheme. Their first fixture saw them face a depleted but battling Falmouth United side with an exciting match only decided by St Agnes player Ben Walker who scored the one and only goal of the match! 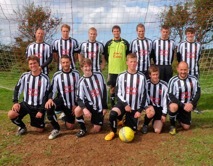 St Agnes AFC are always delighted to welcome new players to any of their 15 adult teams and youth teams. 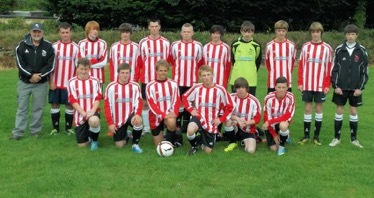 For more details check out the club website www.stagnes-saints.co.uk or contact Mandy Kimmins on 07974 370666. Photos below courtesy of Colin Bradbury. Chiverton Park saw St Agnes AFC Ladies host Mullion Ladies in an evenly matched, great spirited fixture played in driving rain and gale force winds with the half time score 0-0. St Agnes took the lead after half time with Helen Dawson on target twice. Mullion pulled one back, but St Agnes confirmed their win when a fine cross in from Claire Baker was headed home by Hannah Gregory to give St Agnes the 3-1 win. St Agnes Ladies would be delighted to hear from anyone interested in sponsoring this fun group of girls and any lady players aged 16 years and above of any experience or completely new to the game who would like to join them for football, fitness and fun! Training is on Wednesday evenings and all interested parties are welcome to contact Manager Mandy Kimmins on 07974 370666. 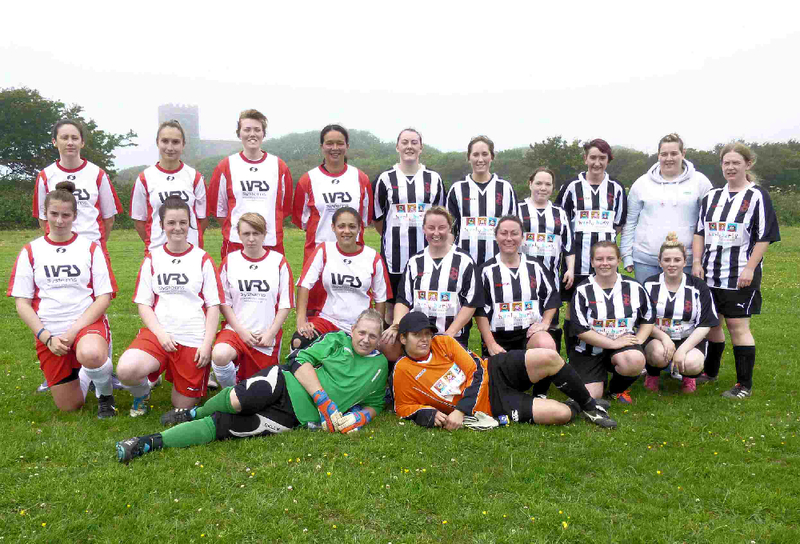 The Cornwall Women’s Football league (CWFL) set up for the season with 12 sides entered at the AGM competing in two divisions of 6, divided into East and West to help alleviate travelling issues for member clubs. The pre-season has been a difficult one for ladies football at the grass roots level and 4 teams (Hayle, Kilkhampton, St Dominick and West Cornwall) have all withdrawn prior to the commencement of the playing season all being unable to raise enough players. The CWFL committee has worked hard to try to retain these teams offering them delayed season starts, 9v9 playing format and signposting players to struggling teams as the teams each withdrew, but to no avail. With numbers low at the grassroots level the CWFL would be delighted to hear from any ladies who would like to return to the game or be introduced to it as a beginner please get in touch with the Registrations Secretary Denzil Lobb on 01872 552091 who will signpost interested ladies aged 16 and above to the best geographically located team. Seven of the remaining sides Mullion, Penzance, Illogan Reserves, St Agnes, Newquay Celtic, St Teath and St Breward have so far registered full squads of players and are looking positive for the forthcoming season. 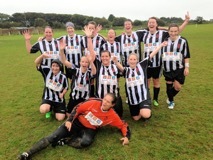 Liskeard Ladies, a brand new squad to the CWFL this Season having come up from youth football, have lost 5 players to a higher level side and are struggling for numbers with 8 at present. The CWFL is hoping to hold on to Liskeard and they have taken advantage of delaying their season start until 29th September with some other member clubs prepared to play them at 9v9 format to keep them going in the League. On the positive side 3 fixtures were played at the weekend with Illogan Reserves beating Penzance 5-1 at Penlee Park, Katie Ashworth scoring the first game of the fixture for Penzance with Illogan's goals 3 from Amber Barnicoat, 1 from Amy Howell and an own goal. St Teath took the win against St Breward playing in heavy rain and high winds with the half time score 0-0. Chantelle Binney took the lead for St Teath from a penalty with Zoe Ansell scoring a second slipping the ball past the keeper. St Breward pulled one back but the final score was 2-1 to St Teath. 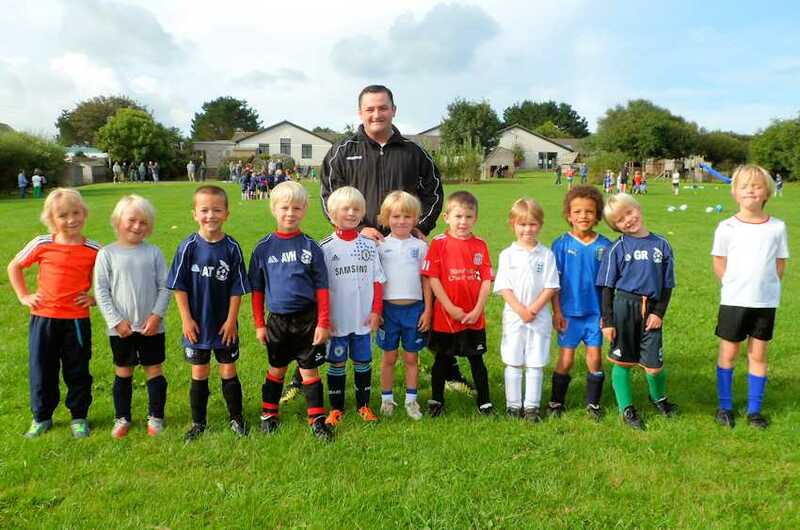 The youngest group at St Agnes AFC Mini-Soccer School are photographed with coach Rob Fenwick at St Agnes School on Saturday 14th September. The St Agnes AFC Mini-Soccer School caters for boys and girls of any ability from rising 5's up to 9 years of age with a ‘turn up and play’ opportunity from 9.45am - 11am at St Agnes School (£2 per child). 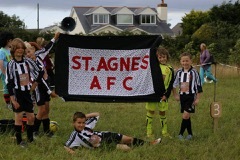 For more details of St Agnes AFC Mini-Soccer or any of the adult and youth teams check out the club website www.stagnes-saints.co.uk or contact chairman Mandy Kimmins on 07974 370666. 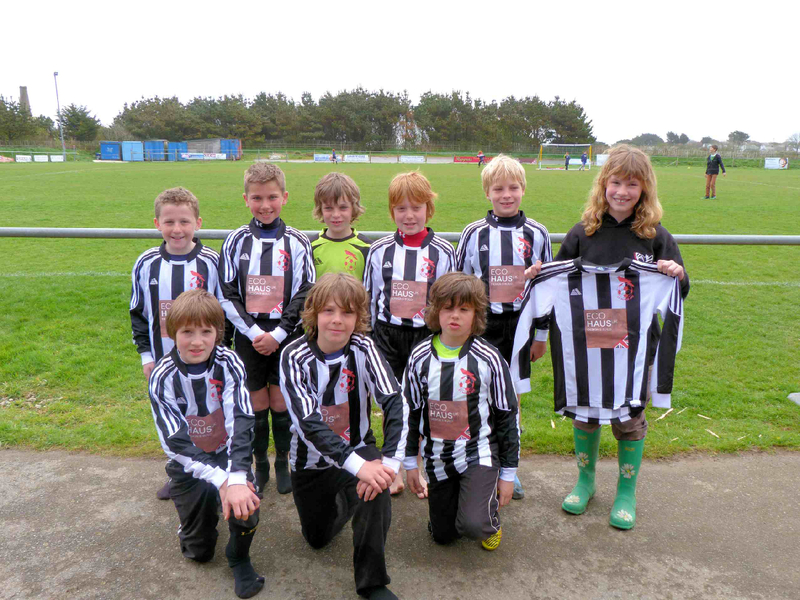 St Agnes Football Club are delighted to announce the new kit sponsorship for the 2013/2014 season. 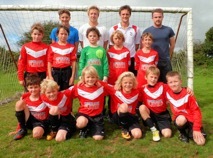 Below are photographs of the St Agnes AFC u9’s, u13’s and u16’s in their new kit. Our thanks go to all our sponsors. 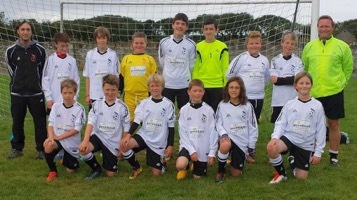 To provide more football for players within the 12-14 year age group St Agnes AFC have introduced a new Under 13's team for this season. 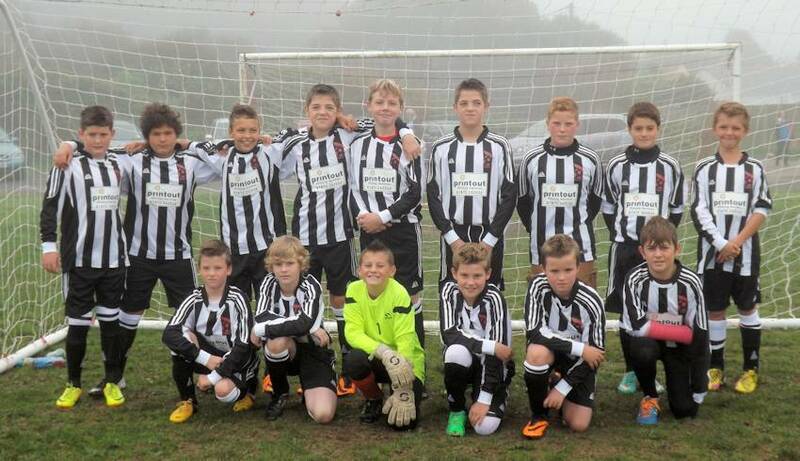 The team travelled to Leedstown today for their first fixture playing 9v9 in the Kernow Youth League. New manager, Mark Norgate, was delighted with his teams performance, effort and attitude despite the result which went against them 7-5 to Leedstown. The new team with their new manager commenced the new season with a new strip kindly sponsored by Printout Printing Services 01872 242534 and are photographed with their manager and his assistant Ian White. St Agnes 1st Team manger, Martyn Kimmins, whose business Printout sponsored ther new strip commented, "The St Agnes AFC youth section is very important to the club and has been growing every season. 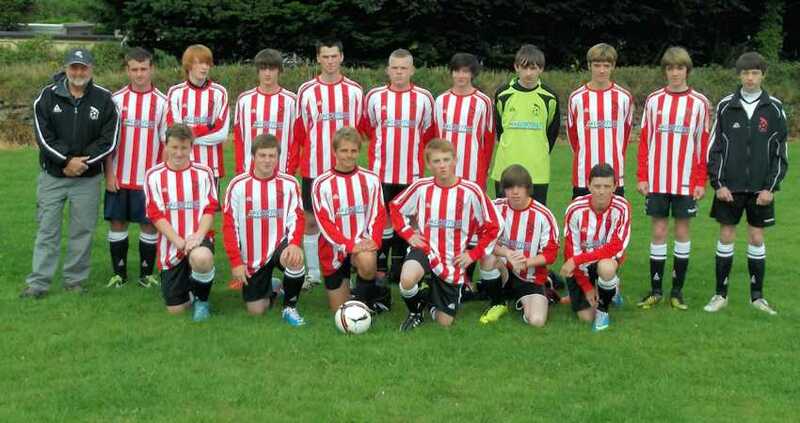 I am delighted to be supporting the Under 13's Team." Members of St Agnes Sports Club are delighted to announce the commencement of their project to build new changing facilities at Enys Parc St Agnes. Over the past 2 years a small working party from St Agnes Sports Club has busily pulled together to consult with member clubs and players at the Sports Club (St Agnes AFC, St Agnes RFC, St Agnes Netball Club, St Agnes Gig Club and St Agnes Boxing Club). A need was identified to replace the existing changing facilities. The old changing rooms were dated and included a communal shower room, shared toilet facilities and only one official’s changing room and no longer provided a facility that could cater for the growth in sport at the club including the increasing participation of male and female players, as well as boys and girls. With the volunteer help of George Kimmins initial plans were drawn up, submitted and approved to replace the existing block with a new building, which met with the requirements of the governing bodies of St Agnes AFC (The FA) and St Agnes RFC (The RFU). 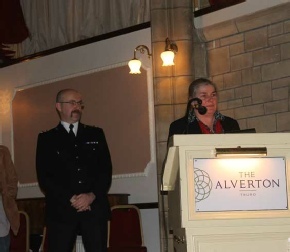 The building project went out to tender as part of a major grant application process to fund it with the cost in excess of £250,000 to complete it. St Agnes Sports Club are thrilled and grateful to have been awarded the following grants towards their project so far: Football Foundation £100,000, RFU £30,000, Inspired Facilities £50,000 and Cory £10,000. The rest of the project will be funded from the within the member clubs and via an interest free loan obtained from the RFF and the Sports Club is also very grateful to St Agnes Parish Council and the Pennon Group for their support. As soon as the Sports Club received the green light to commence the project volunteers from within stepped up to dismantle the existing wooden building. It was taken apart section by labelled section as it is hoped the main part of it can be reassembled elsewhere at Enys Parc as a storage facility. The diggers arrived on site and all was going well until the final part of the footings were being prepared when a potential mining issue was discovered at the very far end of the site. With the supervision of a mining engineer and a bigger digger being brought in extensive digging to a depth of 6 meters revealed the existence of not just one but two unmapped mine shafts within the site. The shafts have now been plugged and a plan to raise the end of the building from the mine workings has been made including the positioning of piled concrete rings to bring the footings to the same level as the rest of building. Members of the Sports Club are frustrated, but not disheartened by this expensive unexpected turn of events and hope to still complete the new building by the end of November as intended. Further fundraising is now required and planned. When completed the new facilities will provide four new changing rooms, each with their own showers and toilets and two new official’s changing rooms also with their own toilet and shower. The new build will also provide an ambient disabled toilet/shower room with baby changing facilities accessible from outside. There will be a further disabled toilet with two new toilets accessible from inside the club house, which will enable the removal of the existing ladies toilets to create a bigger area in the club house. The plans also provided a greatly improved and enlarged kitchen, which will now also be accessible from outside as well as within. St Agnes Sports Club members are very grateful to all the volunteers and contributors who have supported so far in every way. Neil Cotton on behalf of St Agnes Sports Club commented "We are so pleased to finally be commencing our building work and look forward to our member clubs and the wider community benefitting from our fantastic new facilities once finished". Mandy Kimmins also from the Sports Club commented "I would just like to say a huge thank you to everyone who has supported us so far as funders and volunteers. The project, once finished, will be amazing! A personal thank you to Neil Cotton and Ian Doble for their belief, support and hard work in bringing the project to fruition!" For more information on the St Agnes Sports Club Changing Room Project or to sponsor, support, or volunteer during it please contact Neil Cotton via email Neil@chapelporth.com or Mandy Kimmins on 07974 370666. 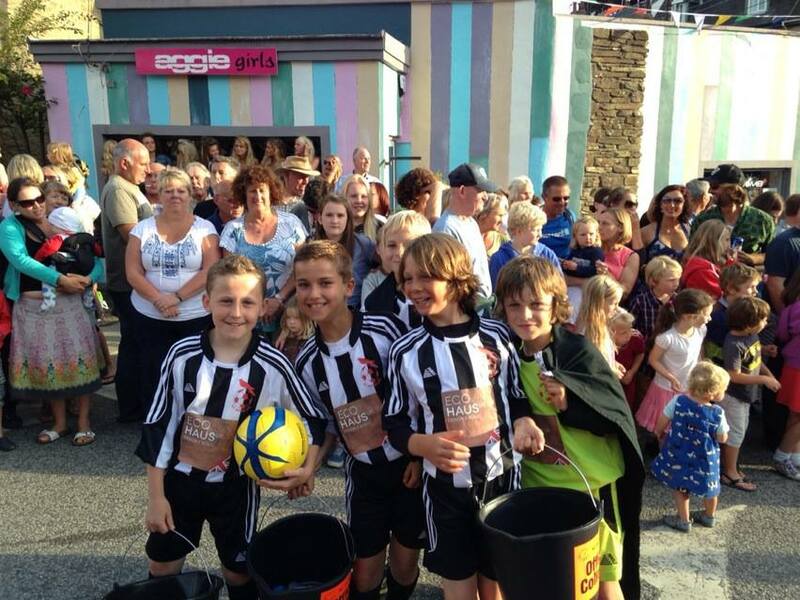 Youngsters from St Agnes AFC Under 11's are photographed taking part in the St Agnes Carnival - well done boys for winning your class! 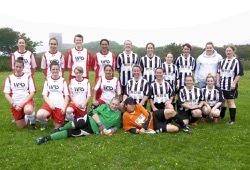 St Agnes AFC Ladies hosted Shanklin Ladies from the Isle of White in a small sided fixture played at the club's Chiverton Park Pitch. St Agnes looked lively in the first half going a goal up through a fine strike from Hannah Gregory. Despite the effects of being 'on tour' Shanklin looked threatening and it took some great saves from St Agnes keeper Julie Windram to keep the St Agnes score 1-0 up until half time. The second half was a different story as Shanklin recovered from their excesses and quickly equalised, then dominated the second half to leave the final score 1-5 to them. The game was played in great spirit and fun with the Chiverton Arms providing fine hosting and hospitality at the end. A 'match fee' collection raised over £40 for the Breast Cancer Campaign. 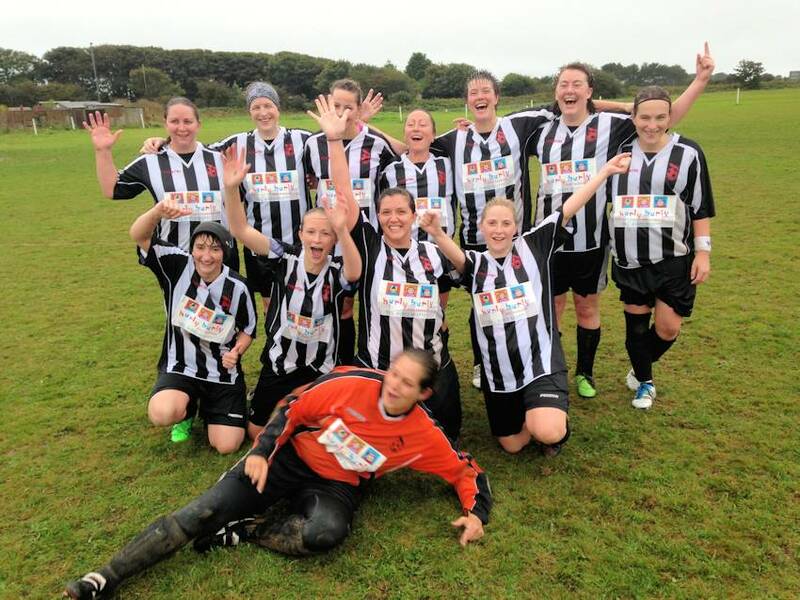 St Agnes Ladies were formed 10 years ago as a friendly side before entering the Cornwall Women's Football League and this year will compete for their 10th competitive season. Manager Mandy Kimmins commented "We originally formed our ladies team for a bit of fun and generally over the last 10 years that's exactly what its been! This season sees both St Agnes Ladies and me as a manager compete in our 10th consecutive Season as members of the Cornwall Women's Football League. As well as playing football over the years we have supported many local events and organizations and raised thousands of pounds for charities and causes both local and national. I am very proud of our ladies team - we may not have been the best footballing side so far, but our general all around contribution has been significant!" St Agnes ladies would be delighted to hear from female players (16 years and above) new and old of any level of experience please contact Mandy Kimmins on 07974 370666 or check out the St Agnes AFC Website www.stagnes-saints.co. for details of all other club teams and contacts. Members of St Agnes AFC youth teams presented Kate Messenger from St Agnes with a cheque for £250 towards the Lady Gladys Education Centre in Costa Rica. Kate's dad John Hawker who now lives in Costa Rica set up the school in memory of his mother Gladys, formerly of St Agnes, to provide an education for children from the slum areas. Kate commented "This fantastic money, which was raised by children within St Agnes AFC will be used to provide sports equipment for the poor children in Costa Rica who attend the Lady Gladys School. Thank you so much it will really make a difference." St Agnes AFC Club Chairman Mandy Kimmins said "St Agnes AFC has historic and present links with the family of Gladys and it is great that our club coaches and young players want to support children less well off than themselves." 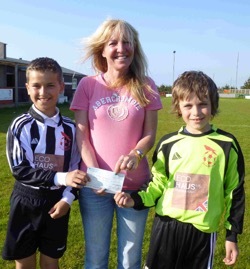 Photograph attached: Kate Hawker receives cheque from Ethan Potts and George Leigh representing St Agnes AFC Youth Teams. St Agnes AFC Veterans (A's and Bolsters) would like to say a big thank you to all at Schooners St Agnes for the generous kit sponsorship. St Agnes AFC will again be fielding 2 veterans sides next season and anyone interested in joining them or supporting in any other way is invited to contact Club Chairman Mandy Kimmins on 07974 370666 for more details. 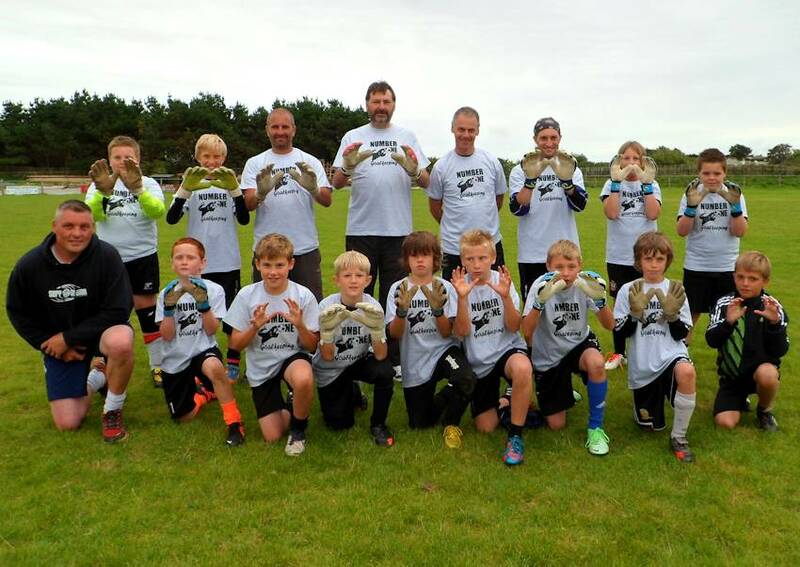 St Agnes AFC mini-soccer School and Under 9's, 10's and 11's finished their season with a charity sponsored penalties hosted at St Agnes AFC. 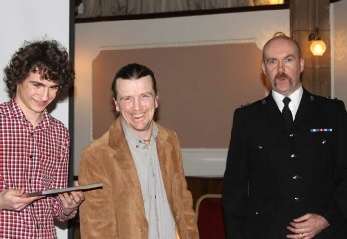 shoot out and at raising sponsorship which totalled £500. Hearts & Goals Charity, as supported by footballer Fabrice Muamba, to purchase our own defibrillator for St Agnes Sports Club." contact Chairman Mandy Kimmins on 07974 370666. 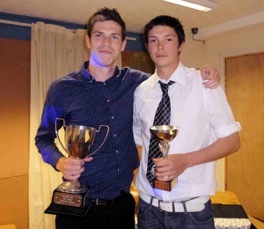 St Agnes AFC finished the 2012/13 Season with the annual presentations function held on Friday 31st May at the fantastic community Passmore Edwards Building the Miners & Mechanics in St Agnes. With a scrumptious buffet supplied by the St Agnes Railway Inn the evening got off to a great start. The presentations started with a minutes applause for the club's former physio and assistant Terry Grasty who had been buried that day at the St Agnes Cemetary - St Agnes resident Terry was a former Conwall Mining League Secretary and supporter of many clubs within Cornish football. 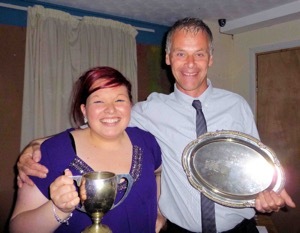 Awards presented during the evening included the Chairman's Cup which was presented to ladies team player, youth coach and committee member Katie Venton. Chairman Mandy Kimmins explained,"The St Agnes AFC Chairman's Cup is presented annually to recognise and reward an outstanding contribution to the club during the previous season. Katie has more than excelled this season with her involvement as a youth coach and manager as well as her fundraising and administration contribution. I am also thrilled to present Dave Keverene our reserves team manager with the club's Sid Hoare Loyalty Award recognising his years of involvement and service to the club as a player and manager." (Katie Venton & Dave Keverene are photographed with their awards). photographed with winner of both the Players' Player and Supporters Player Awards Sam Connolly. St Agnes reserves and 3rd team trophies were presented by managers Dave Keverene and Chris Wells and the Vets A and Bolster Vets by Steve James and Jeremy Hocking. 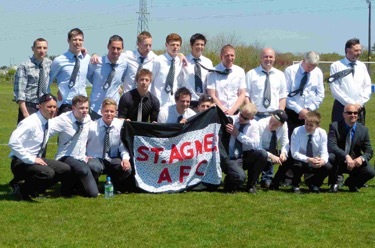 St Agnes AFC are busily planning for the 2013/14 Season with men's pre-season commencing in July. Anyone interested in joining the club as a manager/player/supporter or sponsor is welcome to get in touch via the club website www.stagnes-saints.co.uk or contact Mandy Kimmins on 07974 370666. St Agnes AFC 1st team are photographed before their Combination League Supplementary Cup Final held at Wendron Football Club on Sunday 26th May. 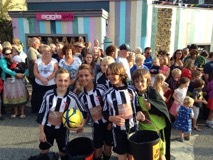 A well supported event which saw St Agnes reaching their 8th Supplementary Cup Final, having won 4 and lost 4. Having faced each other in the league twice this season with Penryn winning 2-1 on both occasions St Agnes faced the fixture as the underdogs. Penryn were the stronger side in the first half going 2-0 up early on, but in the second half (after a rousing team talk from their manager) St Agnes came back into the fixture scoring through Matt Eddy and were unlucky not to equalizes in the final minutes as shots were thwarted by the cross bar. The final score St Agnes 1-2 Penryn. go through their playing without ever reaching a final and our Supplementary Cup medals and Cup are something to be proud of and a consolation for an indifferent season." Anyone interested in joining St Agnes AFC as a player, sponsor, coach or in any other capacity is welcome to get in touch via the website www.stagnes-saints.co.uk or contact Martyn Kimmins on 07974 370666. St Agnes AFC first team were pleased to be presented with a new playing kit on Saturday ahead of their home 3-1 win against Mullion in the Combination League. Photographed with players Ryan Bull and Tommy Bartlett, sponsor Anouska House of the Railway Inn St Agnes commented "I am delighted to be continuing our sponsorship of St Agnes AFC first team. Its been great to see the growth of the club over the years and we are keen to support their hard work”. St Agnes Ladies were also celebrating a new kit sponsor as Claire Berry from Hurly Burly Nursery in St Agnes has generously sponsored them for the season. 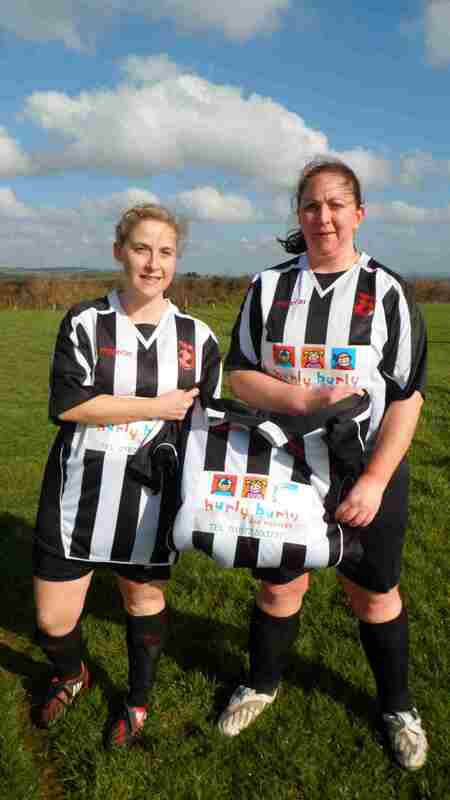 Photographed with their newly logo'd shirts players Kathy Woolson and Lyndsey Cowl were thrilled with their new smart kit. 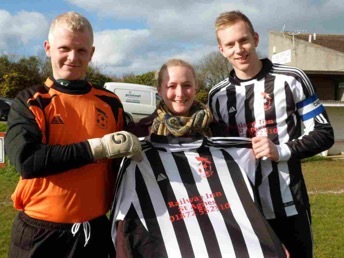 St Agnes Chairman Mandy Kimmins commented "We are really fortunate as a Club to be finding such generous local sponsorship and on behalf of all the members of St Agnes AFC a huge thank you to the Railway Inn for their ongoing support and to Claire Berry at Hurly Burly Nursery ferom all of our Ladies Team”. St Agnes Ladies (CWFL) faced Charlestown Ladies (SWWFL) in the County Cup on Sunday bravely battling for ordinary time to keep the score 0-0 and right up to the last 30 seconds of extra time when Charlestown scored the winner. Julie Windram in goal for St Agnes was outstanding throughout and St Agnes Coach Mike Venton commented "I am very proud of the commitment and work rate shown today by the St Agnes Ladies. 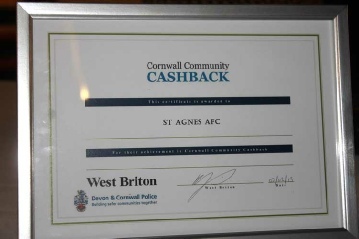 St Agnes AFC are delighted to have received £300 from the Cornwall Community Cashback Awards and attended the presentation ceremony at the Alverton Hotel in Truro to pick up their awards. 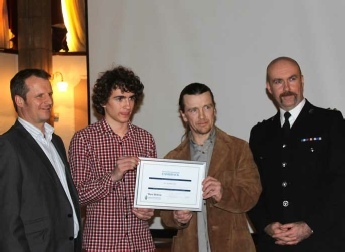 Devon and Cornwall Police set up the scheme to help community groups using money seized under the Proceeds of Crime Act. Mandy Kimmins, from St Agnes AFC, said the prize money was "absolutely fantastic". Representing the St Agnes Under 15's Boys Team George Hardwick (photographed) thanked everyone for voting for St Agnes AFC to receive the money and explained that the Under 15's boys would receive jackets from the money to help combat the inclement Cornish weather. 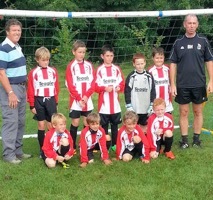 The St Agnes Community Team will also benefit by being equipped with new shin pads and socks. St Agnes Sports Club are celebrating again this week having been successful in their application to Cory Environmental Trust for a grant of £10,000 towards their exciting new changing rooms project. Following their success in being award £50,000 from Sport England Inspired Facilities Fund St Agnes Sports Club are in the process of applying for other funding and completing their own fundraising to achieve the total required to replace the existing changing room block at Enys Parc, St Agnes. facilities is no longer equipped to cope with the growth and diversity of our member clubs so we are all absolutely delighted to have been awarded £10,000 from Cory Environmental Trust." St Agnes Sports Club has secured Olympic legacy funding from Sport England’s Inspired Facilities fund. Sport England today revealed that more than 1,000 local sports projects across the country have now received National Lottery funding through Inspired Facilities, which is part of the £150 million Places People Play legacy programme. Every sports facility that receives funding will carry the London 2012 Inspire mark – celebrating the link to the Games. 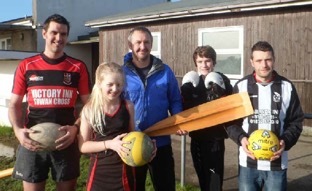 St Agnes Sports Club will receive £50,000 of National Lottery funding to upgrade the Changing Room Block, which has helped thousands of local men, women, young people and children get into sport over the years. The improvements include new changing rooms, official’s rooms, showers, kitchen, disabled facilities and toilets. Club Chairman, Mandy Kimmins, said: “We are delighted to have secured this investment, which means we can progress with our plans and other grant applications to upgrade the quality of our changing room block to meet the growth and demand of all our member clubs. 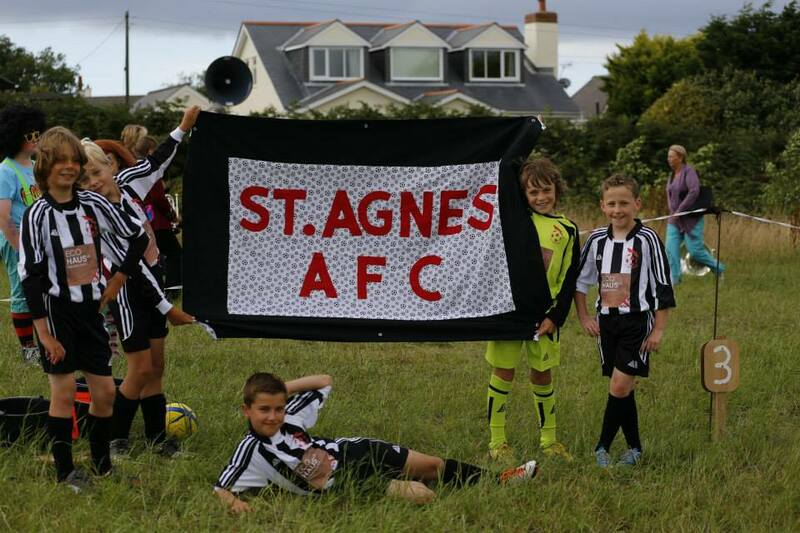 St Agnes Sports Club now embraces St Agnes AFC, RFC, Netball, Gig and Boxing Club and our present changing facilities no longer meets the growth and needs of our overall membership which includes males and females aged from 5 – 65 years! I am also thrilled to hear that St Agnes and Perranporth Tennis Clubs have both received funding during this Inspired Facilities ‘funding window’ which, with £50,000 also received by St Agnes Surf Club in the last round, puts an amazing £200,000 of Olympic Legacy Funding into such a small area of Cornwall! How inspirational that there are so many sporting facilities not only available in our community but all actively looking to progress, grow and improve by applying for grant funding – well done and congratulations to them all and thank you to Sport England!”. St Agnes Sports Club is one of 310 projects across England to receiving lottery investment from the third round of the Inspired Facilities fund and one of over 1,000 to benefit overall, with the milestone being achieved one year ahead of schedule. Many more communities can still benefit from the fund, with a further two rounds remaining. Bids will be accepted for the fourth round of Inspired Facilities Funding from the 4 March 2013. You can find out more at www.sportengland.org/inspiredfacilities.